Get a glimpse into your young artist’s mind! But what is Dragon thinking...? 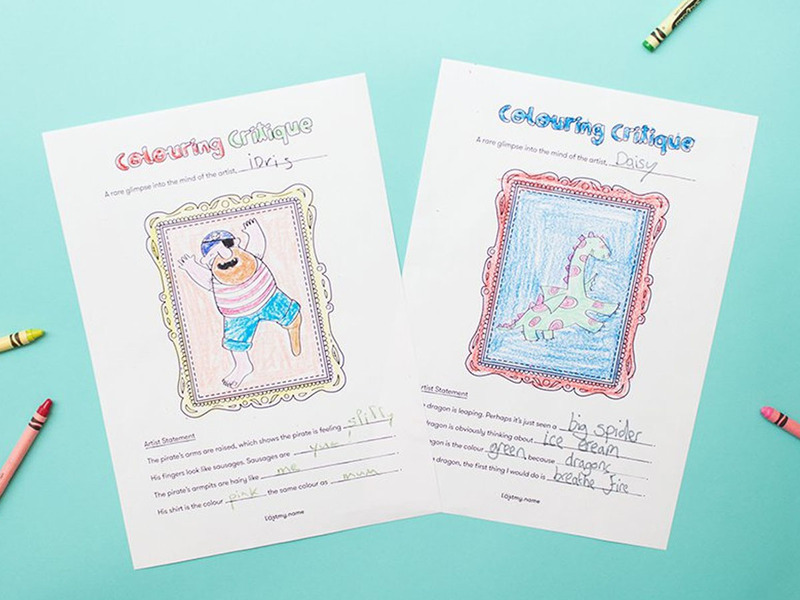 Colouring Critique is a fun way to commission a picture from a child, and also gain some charming insight into their artistic minds. 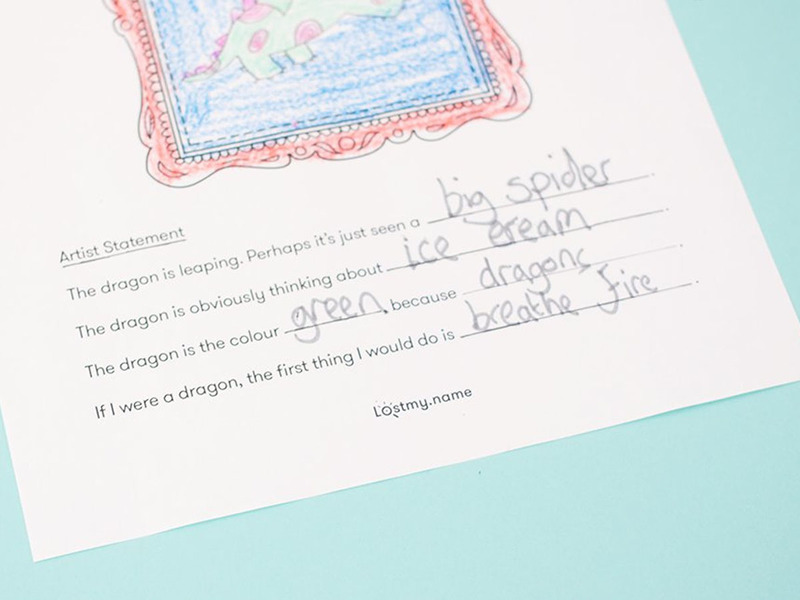 Underneath the picture they’ll colour for you, your little artist will share flashes of their creative process by filling in some playful sentences about their work. Why IS that pirate raising his arms? And what might the dragon be thinking? Time to find out. This fun idea has the power to give your budding virtuoso a boost of confidence. You don’t just want a piece of art – you want a piece of the artist, too! Grab the template to make your commission. Just choose between Dragon and Pirate. And make sure you store it safely in case it’s worth millions in a few years. If you like fun, clever ideas that delight kids, you’ll enjoy our original personalised children’s book where Dragon and Pirate made their first appearance.